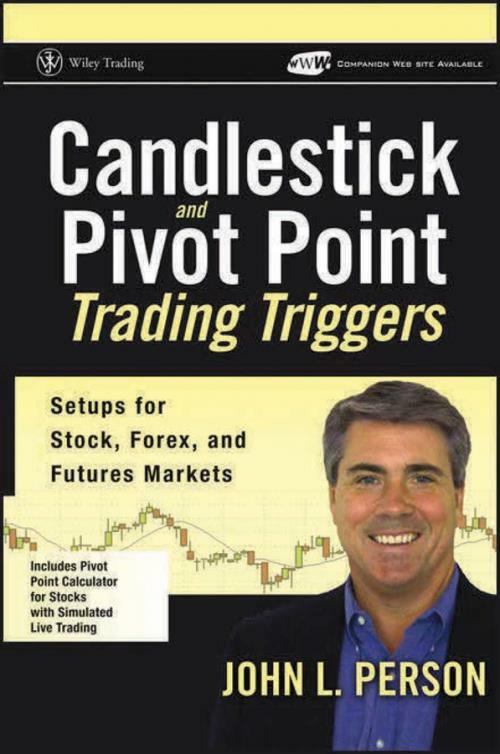 "Candlestick and Pivot Point Trading Triggers provides traders the opportunity to better apply a combination of two techniques that are often used independently. The breadth of information offered here will make any trader anxious to attempt combining candlestick patterns and pivot points." "Whether you are a novice or a seasoned trader, this is a MUST–read book! In the ocean of trading books available today, this one is quite unique. It contains the blueprint for achieving success in trading stocks, futures, and forex. Don′t just read this book and put it on a shelf use it as a trading plan, strategy, and exact set of steps you need to take to achieve the same results John has had trading stocks, futures, and forex." "This is an excellent and original book. It′s the definitive work on the complex subject of pivot point trading and a must–read for all equity, futures, and currency traders." "This is a highly valuable trading manual. John takes his readers on an educational journey that is well organized, informative, and compelling. His explanations of candle patterns and pivot analysis, applied to various markets, are extremely insightful. This book serves as a wonderful resource to all traders who want to increase their profit potential and success!"